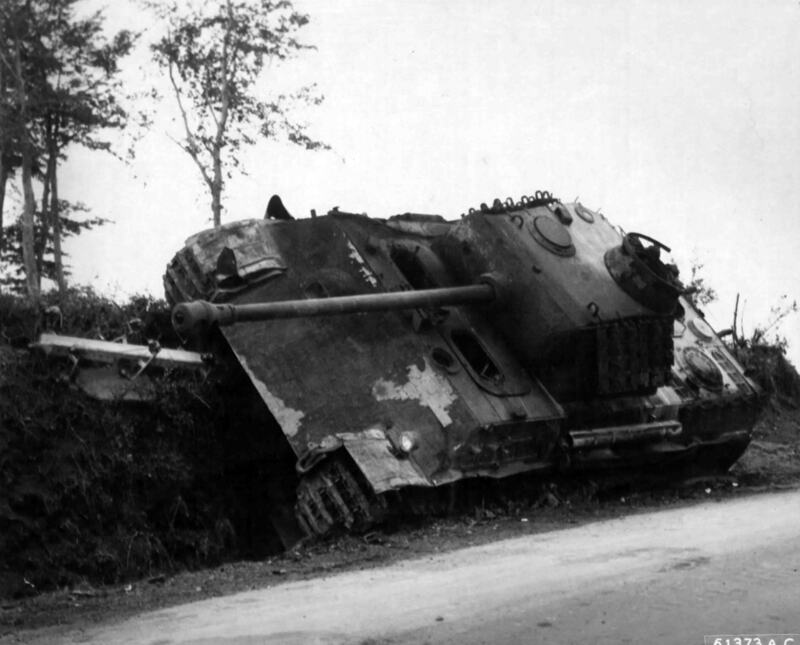 Figured there might be interest in a thread for discussion and pictures about AFV's that had the ultimate bad day. Not intended to be morbid. 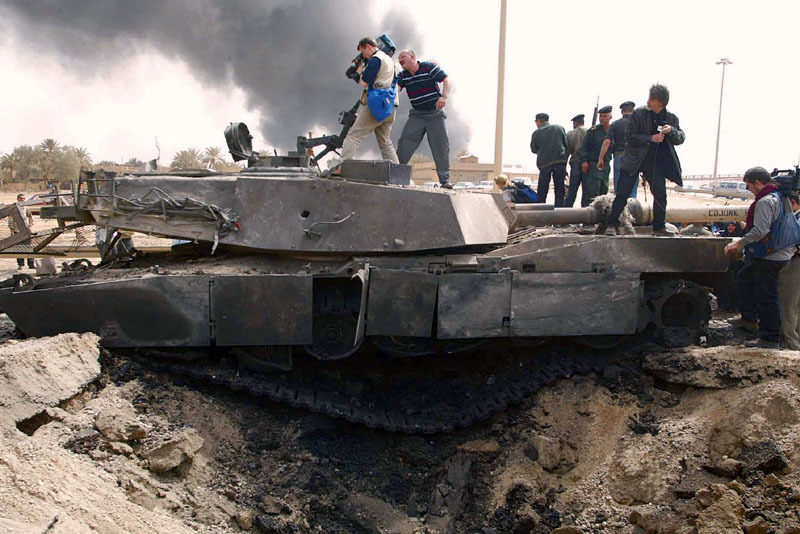 Probably the most infamous M1 of the Iraq conflict. Unless I am mistaken that is a Challenger 2? 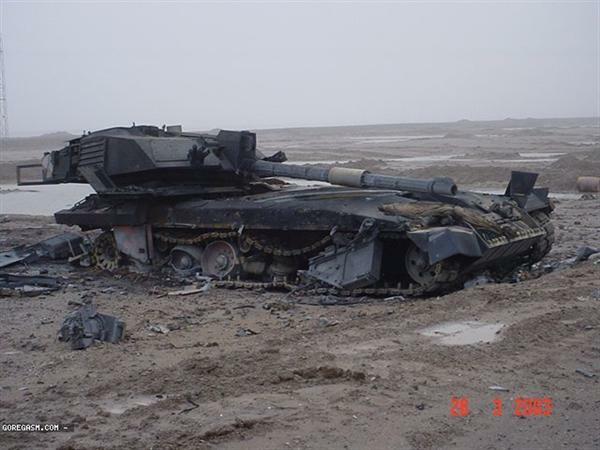 I was not aware any Challenger 2's were penetrated, let alone lost to that degree in the Iraq conflict. I guess wrecks behind were Iraqi convoy? That might have caused some IFF issues. 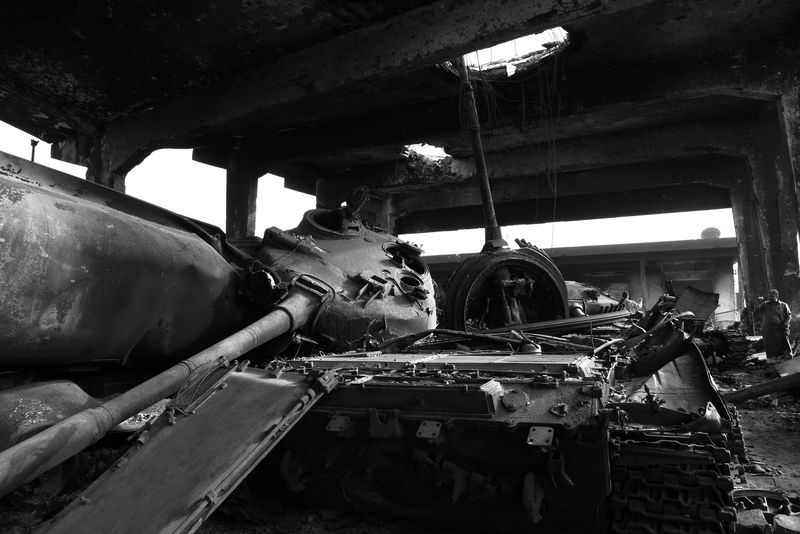 The tank wasn't penetrated a HESH round went through a opened loaders hatch. One of those million to one shots that happen nine times out of ten in friendly fire incidents. Edited by dejawolf, 29 March 2015 - 2136 PM. Wow, when things go wrong, they really, really go wrong. Thanks for the clarification. One of those million to one shots that happen nine times out of ten in friendly fire incidents. Your wobbly looking maths are proof to Maxwell's Corollary: Murphy was an optimist. 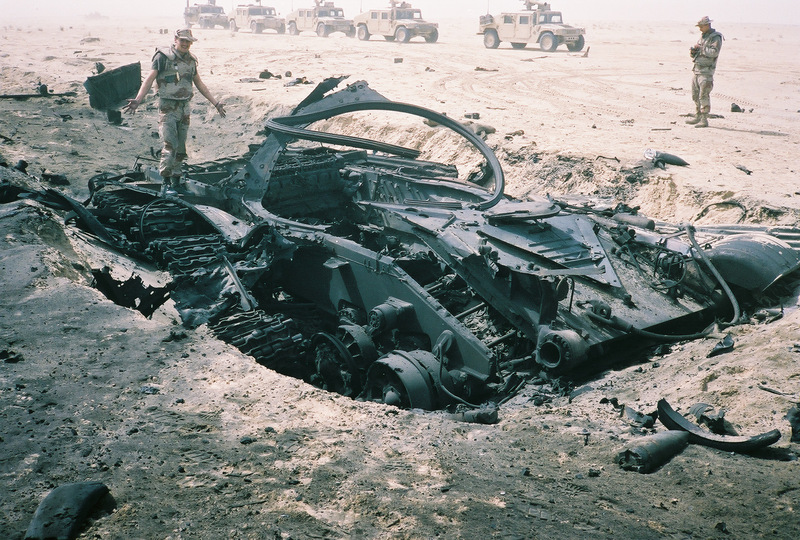 The second HESH round exploded on the slightly opened hatch previously damaged by the first HESH round (which landed on the soil near the rear of the tank). Some hot fragments entered in the fighting compartment and the two guys who were inside died instantly. Edited by Sovngard, 30 March 2015 - 1117 AM. I believe the wreck in the foreground is something else entirely. 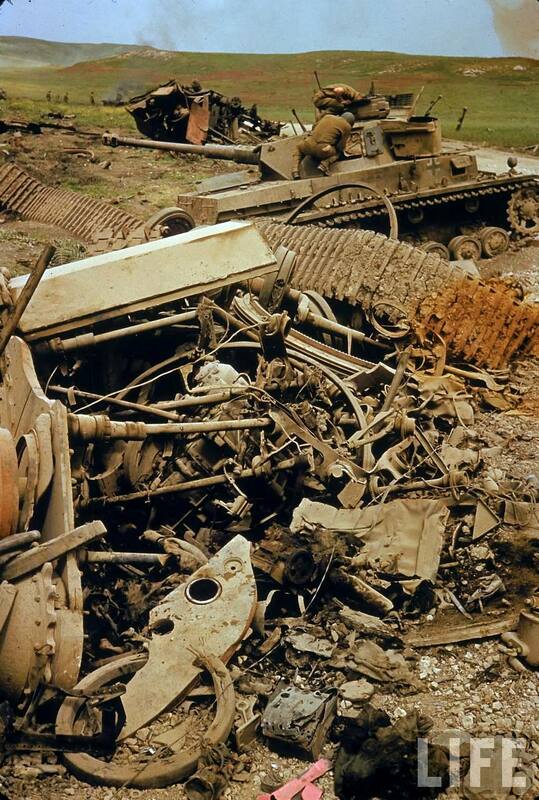 I guess the Germans took demolition of Tigers very seriously at that time. Edited by Mikel2, 03 April 2015 - 1015 AM. Gentlemen, is that a IVG or IVH?.